Home / Cup Series / Friday Faceoff: Who Is Most Likely To Win It All At Homestead? 1. The Championship 4 is set, and it consists of arguably the four best cars over the course of the season. Who do you see claiming the title next week? 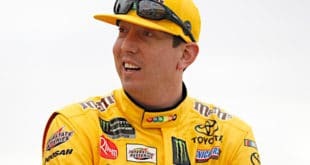 Wesley Coburn: Kyle Busch wins because, even though Kevin Harvick has the best average finish of the four championship drivers at Homestead-Miami Speedway, either he or one of his Stewart-Haas Racing teammates will find a way to shoot the No. 4 in the foot. Zach Gillispie: I think all the drivers in the Championship 4 are worthy of the title, but I think Harvick will be hard to beat. This has arguably been Harvick’s best season of his career. 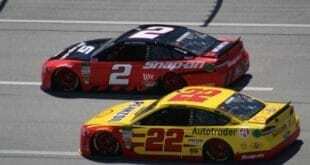 Compared to Busch, Joey Logano and Martin Truex Jr, Harvick has been at the front of the pack all season long, while the others have seen some fluctuation in their performance. For that reason, Harvick will walk out of Homestead-Miami Speedway a champion. Mike Neff: Harvick has had the fastest car most of the season, but they always find a way to stumble. It feels like this will be number two for Busch. Vito Pugliese: I am going to go with Busch. You could really pick any of the four and not make a bad choice. Harvick has been dominant on 1.5-mile tracks this year, but after losing to the satellite team last year, I think Busch has a little extra motivation going into the weekend. The only real outlier of the four would be Logano, and that is just based on his performance throughout the year. If it was Logano’s teammate Brad Keselowski were eligible this weekend, I would actually probably pick the No. 2. All of this could be for naught, and speculation goes out the window if it comes down to a late-race restart and a green-white-checkered finish. Matt McLaughlin: Teams never seem to learn. I read this week that the No. 4 team is swapping out their regularly-scheduled rear tire changer for the guy who usually swaps rear tires for the No. 10 team. Gunning for the title for Mark Martin in 1991, Jack Roush decided to run an engine built by Robert Yates Racing rather than an in-house mill. Ask him how that worked out. Pit stops are carefully choreographed chaos, and a new dancer throws everything off. Plus, my guess is the No. 4 team was hoping that rear spoiler trick they got caught with was their ace in the hole at Homestead. To sum it up, my guess is Harvick loses the race and title in the pits, handing the big hardware to Busch. Also, if Logano is running in a position to claim the title and Truex is not, I think there will be payback. I know Jersey Boys. Hell, I am a Jersey Boy. You knock a Jersey Boy’s elbow and cause him to spill a few drops of beer, you apologize profusely, buy him a new brew and chat amiably with him for hours. And at the end of the evening, while you’re walking to your car, he comes up behind you, knocks you cold with a pool cue, burns your car and drives off with your girlfriend. Jersey is a scary place. That’s why I immigrated to Pa. in the Fifth grade before they built a wall across the Walt Whitman Bridge. 2. Justin Allgaier had a career year in 2018 with five wins and 23 top 10 finishes. 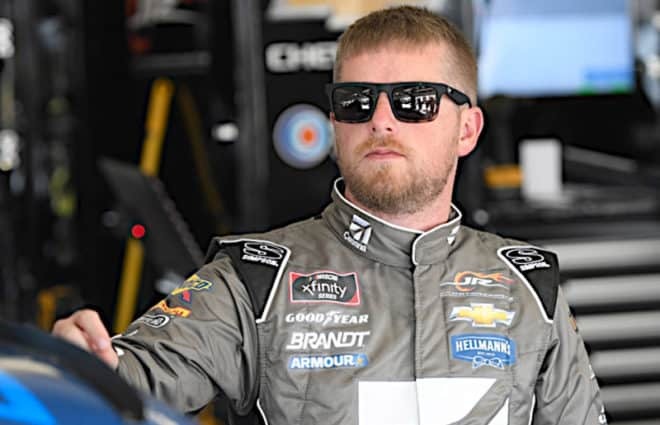 Should Allgaier try to get another shot in the Monster Energy NASCAR Cup Series or do you see him being better off as a competitive NASCAR XFINITY Series driver? McLaughlin: Allgaier should look at his teammate, Elliott Sadler, and take note. Sadler went to Cup for a brief while and, while he did manage three wins (in 438 starts), for the most part, he was a little fish in a big pond. 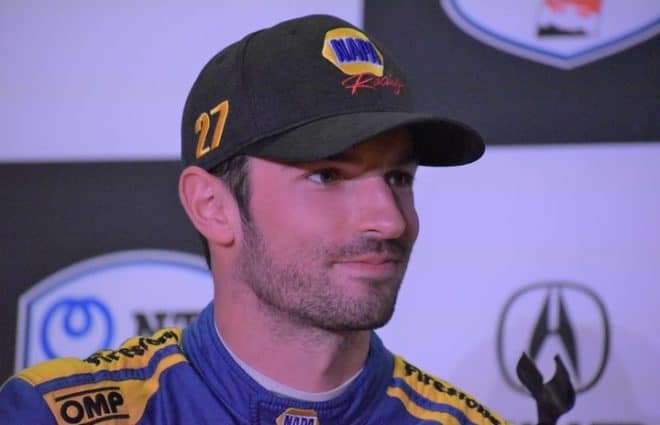 So, he returned to the NXS (Busch) series and became a big fish in a small pond — winning races regularly and competing for titles most seasons. So Allgaier has to decide if dealing with mediocrity is worth a bigger paycheck rather than running competitively? In the current climate, there’s a lot more drivers who want to run Cup than there are seats open to accommodate them. It’s a cutthroat business. Ask Daniel Suarez. 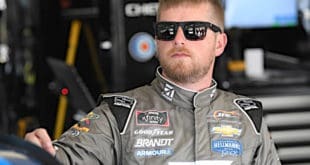 Pugliese: Allgaier faces the same problem as any number of drivers over the age of 30: plenty of talent, but an absence of quality rides in the Cup Series. With the rules change coming next year, it might bode well for him trying to find a new ride. Lower horsepower and higher downforce will bring pack racing to the Cup Series next year, will have an effect on who we see where in the field and and might help close the performance gap throughout the field. He wasn’t exactly in a top tier car when he had his limited shot in Cup, as Clint Bowyer also experienced. He has the talent, but is there a seat worth vying for? Coburn: Stay in one of the top XFINITY rides or go to a mid-pack Cup team at best? Hmm… this is a no-brainer. 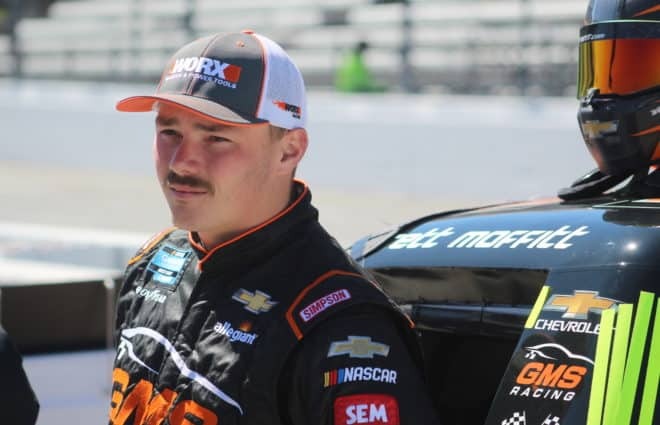 With solid backing from Brandt, you stay put at JR Motorsports, see if you can coach Noah Gragson and whoever replaces Tyler Reddick and maybe win a series championship at some point. Neff: Allgaier never got credit for what he did in the HScott Motorsports equipment. He consistently put that car in finishes that it did not deserve. It would be great to see him step into the No. 48 when Jimmie Johnson decides to retire. Unfortunately, that will most likely be Kyle Larson’s ride. If Allgaier gets a Cup shot, I hope it will be with a team that can actually win races. Gillispie: When Allgaier went to Cup, he landed at an underfunded team, which prevented him from showing his talent behind the wheel in quality equipment. I think this may have made several people turn away from Allgaier’s skill and talent behind the wheel, which ultimately caused him to move back down to XFINITY. I think we have seen that Allgaier has the talent to win races. Since he has significant funding behind him, Allgaier certainly deserves a second chance in Cup. 3. NASCAR is exploring a possible purchase of the track conglomerate International Speedway Corporation. What would you expect to happen if the sale takes place, and do you see it as a positive thing? Neff: Still trying to make sense of this maneuver. The only really logical reason seems to be bundling it all together to make a sale more attractive. Guessing that the interest in a purchase of just NASCAR wasn’t drawing the buzz or dollars anticipated. So, the powers that be in Daytona are making this move to try and put all of the eggs into a shiny new basket that will bring in someone to spend the kind of money that they want for NASCAR. Let’s be honest, the track properties are probably worth more than the NASCAR brand by a long way. 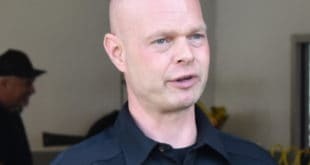 Pugliese: Will it mean we would have a chance at going to other racetracks in the near future and not have the same tried and tired schedule that we’ve had for the last 20 years? If yes, then I am all for it. Coburn: It would make it a near-monopoly, which would further discourage schedule innovation and drive up prices, both of which would essentially hasten the demise of the sport. This seems like a terrible idea. Gillispie: I hope this pans out to be a positive step for the health of the sport, but it seems mysterious. On one hand, it looks like NASCAR itself is trying to monopolize the tracks. This could be concerning because NASCAR would expand its overabundant control. On the other hand, this step will maybe try to conform toward the fan’s vocal wishes of new tracks on the schedule (short tracks and road courses). By consolidating ISC into its own organization, NASCAR would have the freedom to mix up the schedule and sprinkle in tracks that the fans want. This could turn out to be a positive maneuver for the overall health of the sport. 4. 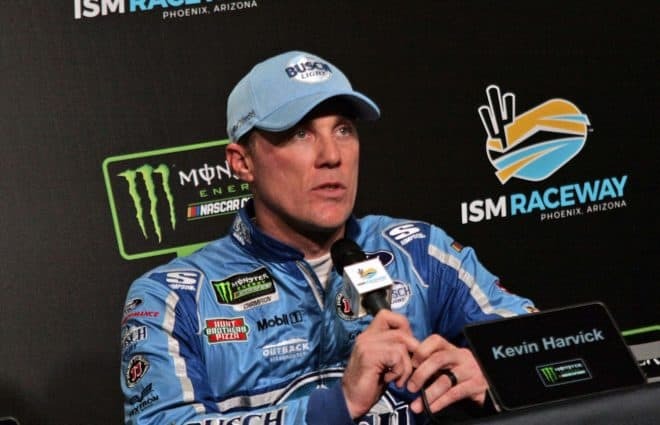 Kevin Harvick refused to speak in detail about the penalty for an illegal spoiler that was issued following his win at Texas Motor Speedway. Does it matter that he wouldn’t share his thoughts or is it best that he focus on the task at hand? Gillispie: The guy is laser focused on a championship and does not want to have any distractions. Need I say more. 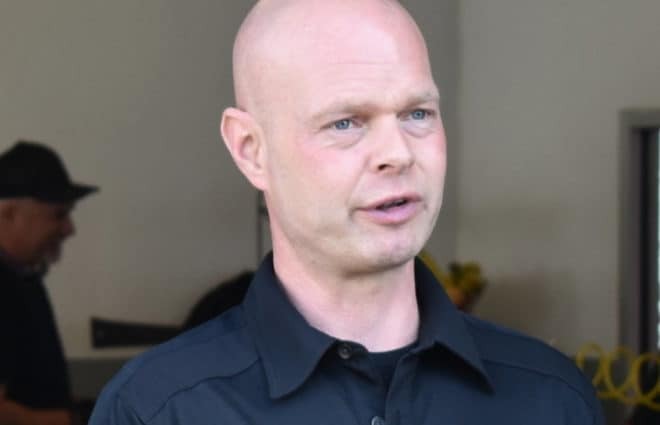 Pugliese: He’s not under oath or charged with a felony… he’s really not compelled to comment on it at all. What is he supposed to say, “Yeah, we’ve been using it more than one week, along with our collapsing rear windows and air guns that were breaking earlier in the season from trying to get around the restrictions… but we’re not cheating!” The C-word is probably a little harsh, but when you’re doing the exact opposite of what the rule book says intentionally, you can forgive others for having that perception. No reason to address it any more than he did. Sponsors don’t like to be associated with that sort of thing, and the sport really isn’t in a position to be shedding any more dollars. Neff: It is hard to say. The drivers don’t know what parts and pieces are going onto these cars. He could talk about it, but it didn’t really matter one way or the other. He had to go out and get the job done, which he did. If they win at Homestead, it will be a different story. I promise no cars are going back to R&D after Sunday’s race. Coburn: Both. Harvick’s primary job is to drive his car really fast, and it doesn’t really matter much if he knows what parts enable him to do that effectively. On the other hand, from a PR standpoint, it would have been best for Stewart-Haas Racing and NASCAR itself if he would have explained what was going on with the illegal spoiler penalty. Maybe he didn’t know. Maybe he did. There wasn’t a good way to handle this situation other than drive his way into the finale on the track, which he did. McLaughlin: I recall Dale Jarrett got nabbed in a cheated-up car one time and was absolutely furious in his response to the press. “I just drive the car. I just drive the car, alright? I don’t build the f—-ing things.” Talk about throwing your team under the bus. A driver is free to talk to the press or not. Members of the press are free to mention his sponsors or simply go with the “No. 4 car” rather than the Busch Light Stewart-Haas Racing Ford Fusion.” Since Jim Accosta has some downtime, maybe they should send him to Homestead to interview Harvick. Just don’t seat him next to Jeff Gluck or the blonde chick from the AP. Previous Fire On Fridays: What is Furniture Row Racing’s Legacy? Next Massie’s Minute: Are Non-Championship 4 Drivers Allowed To Win at Homestead-Miami? NA$CAR already knows who wil win it all. Hint: It’s the least overlooked/least fined by the inspectors.